There are many celebrations on St. Patrick’s Day, but it would be hard to beat the zaniness of the parades in New Orleans. 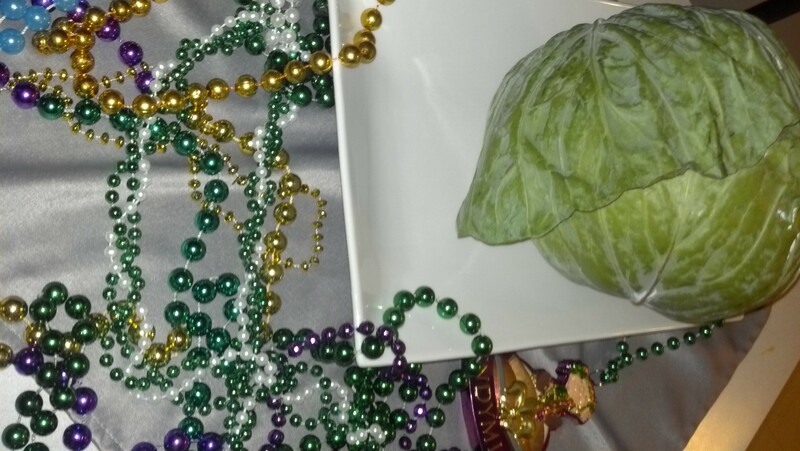 In addition to the beads, baubles, boas and toys tossed from the many floats to the spectators, down in the Big Easy they also throw out – cabbages! And what to do with your prized cruciferous after you catch one? You could toss it into a big pot of water and boil it to death, but I say it’s the perfect opportunity to instead use it to make some Big Easy Cabbage Slaw. If you get as lucky as I did, you will catch the carrots for it too! In a medium mixing bowl, add vinegar, mustard, horseradish, salt and pepper and whisk to combine. Using a mortar and pestle or spice grinder (*if you do not have either tool, then just use already ground cumin for this recipe), grind the cumin seeds well, then whisk into the dressing. Slowly add in the olive oil and whisk to combine. 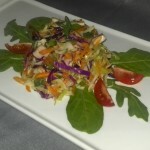 In a large bowl, combine the red and green cabbage, carrot, scallion and parsley and toss to combine. 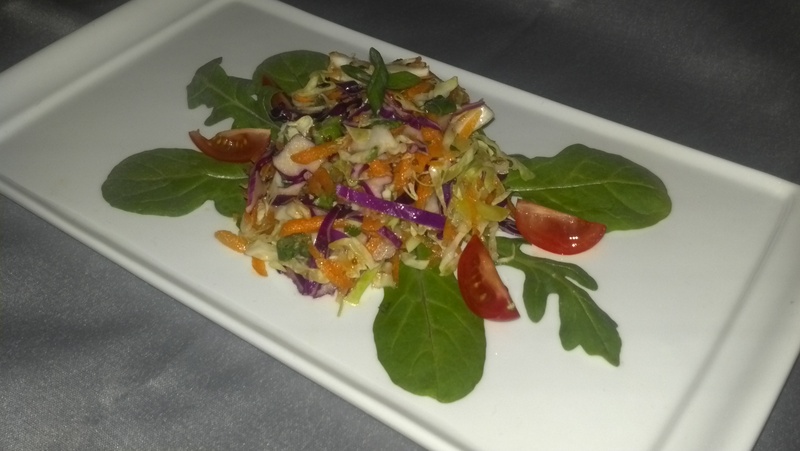 Add the dressing and toss well to coat. Serve chilled.